When it comes to website design, it’s all about user experience. However, what that means for one company may be entirely different from what it means for another. Did you know that if your web page takes longer than three seconds to load, 53% of visitors will click away and look elsewhere? Surprising, but true. Therefore, while gorgeous graphics look amazing and are often the crux of website design, too many of them (especially high-def or animated versions) may take away from the value of the user experience. 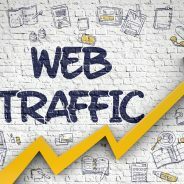 If you’ve noticed that your bounce rate is higher than usual since updating your website design, it will definitely be worthwhile to test the loading times of each page to see if that is the underlying issue. Yes, a website’s main function is to promote your brand and its offering. However, too much promotional content can make it difficult for potential customers to relate to your business and may result in them turning to your competition for ‘more’. This is where content marketing comes in. It is essential that you provide plenty of interesting, informative and educational content too, as this is the content that is sure to resonate with your audience and is more likely to generate engagement. The key is to hold your visitors’ attention for as long as possible. One way in which to do this is to take them on a journey that flows seamlessly from one web page to the next. Add links strategically to each page, gradually guiding your visitors through what you do, how you can help them and, finally, encouraging them to make contact or convert. As experts in website design and website development, WSI OMS can help you to transform your website into a powerful business tool. We also specialise in content marketing, mobile marketing, and social media marketing. Contact us now to learn more.